This stylish modern back to wall comfort height toilet from our Metro range has a simple yet contemporary design which will add a designer finish to any modern bathroom. 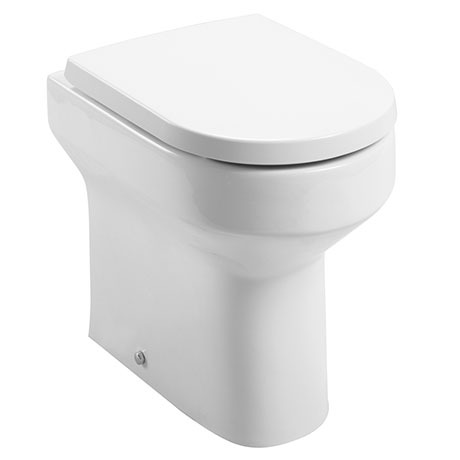 The simple lines of this modern toilet are complimented by its heavy duty durable wrap over, soft close toilet seat. Styled a little taller in height than normal, this comfort height toilet allows ease of use by older or taller users. It's compact size make it ideal for smaller bathrooms and en-suites; made from high grade ceramic with a smooth cool white finish. Designed to be used with a concealed cistern (not included) either placed behind a wall or in a WC unit.